Waterloo, Iowa – The Waterloo Bucks have announced their summer Family Movie Night schedule for the 2018 season. The slate, which features free admission, includes “Coco,” “Rookie of the Year,” and “Moana” all being played on the 474-square foot LED video board at Cost Cutters Field at Riverfront Stadium. Friday, June 1 will be the first Family Movie Night of the summer, featuring “Coco.” Gates will open at 6:30 pm with the movie starting at 7:00 pm for the PG rated animated adventure, running 1 hour and 45 minutes. The Bucks will hold their second annual Family Fun Night on Tuesday, July 3 featuring the movie “Rookie of the Year.” Gates will open at 5:00 pm and the stadium will be home to both free activities and pay-per activities, with more details to be released closer to the event. The movie starts at 7:00 pm for the PG rated family comedy, running 1 hour and 43 minutes. The final Family Movie Night will occur on Saturday, July 28, featuring “Moana.” Gates will open at 6:30 pm with the movie starting at 7:00 pm for the PG rated animated adventure, running 1 hour and 47 minutes. There will be free admission and fans are encouraged to bring a blanket or lawn chair and sit on the field to watch the movie. No outside food or drink will be allowed, as the concessions stands will be open. The Bucks open the 2018 season at home on May 29 versus the La Crosse Loggers at Cost Cutters Field at Riverfront Stadium where the team welcomed a new state of the art video board in 2016 thanks to a matching grant from the Black Hawk County Gaming Association. Team ownership has invested more than $170,000 in improvements since the end of the 2014 season including painted bleachers, public Wi-Fi, sound system, group outing areas, kids zone inflatables, and concessions equipment. Fans are encouraged to stay in touch during the off-season with the Bucks by utilizing their website at www.waterloobucks.com or utilizing the Northwoods League Mobile App. Tickets are now on sale by calling the Bucks’ Ticket Line at 319-232-5633. 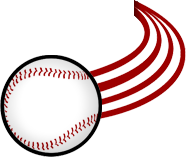 The Waterloo Bucks are a member of the finest developmental league for elite college baseball players, the Northwoods League. Entering its 25th anniversary season, the Northwoods League is the largest organized baseball league in the world with 20 teams, drawing significantly more fans, in a friendly ballpark experience, than any league of its kind. A valuable training ground for coaches, umpires and front office staff, more than 190 former Northwoods League players have advanced to Major League Baseball, including three-time Cy Young Award winner Max Scherzer (WAS), two-time World Series Champions Ben Zobrist (CHC) and Brandon Crawford (SFG) and MLB All-Stars Chris Sale (BOS), Jordan Zimmermann (DET) and Curtis Granderson (TOR). All league games are viewable live via the Northwoods League portal. For more information, visit www.waterloobucks.com or download the new Northwoods League Mobile App on the Apple App Store or on Google Play and set the Bucks as your favorite team.